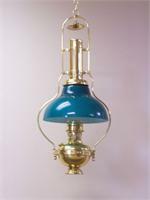 The glass Bell Hanging Lamp Shade was originally introduced in 1914 with the Aladdin Model 5 Hanging Lamp. This bell-shaped glass lamp shade is designed for Model 5 and 6 hanging lamps and the current BH210 - Deluxe Brass Hanging Lamp. Shade is held by screws on the top of the hanging frame. 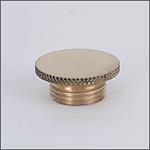 For use on Aladdin Model 5, 6, & 155-02B hanging frames only. Current production model varies slightly from the original hanging lamp shades made in the 1910s-1920s. 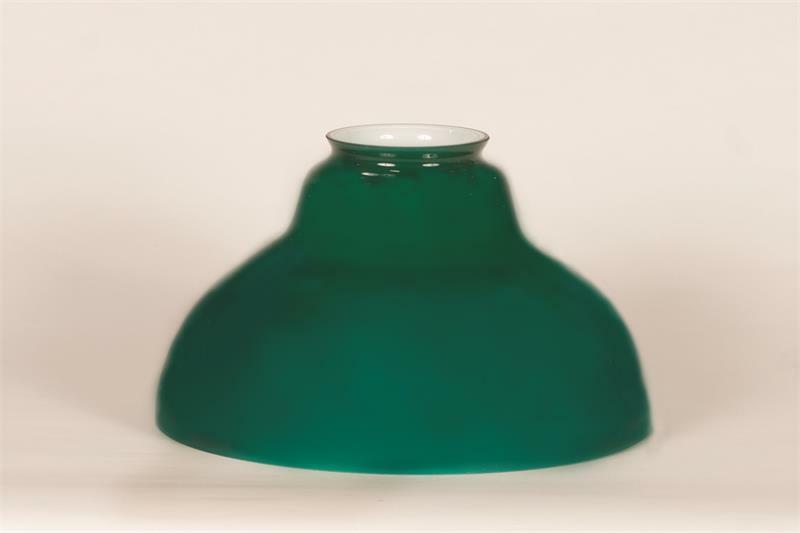 This 12" Bell shade is made of cased green glass by the Aladdin Lamp Company. Imported. www.p65warnings.ca.gov.